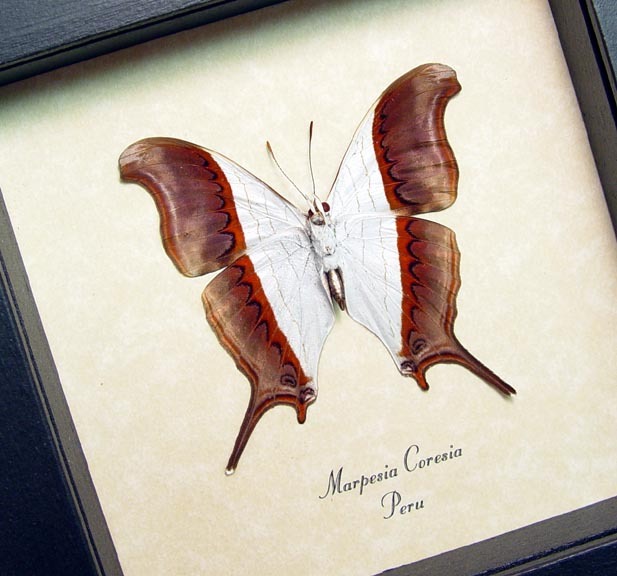 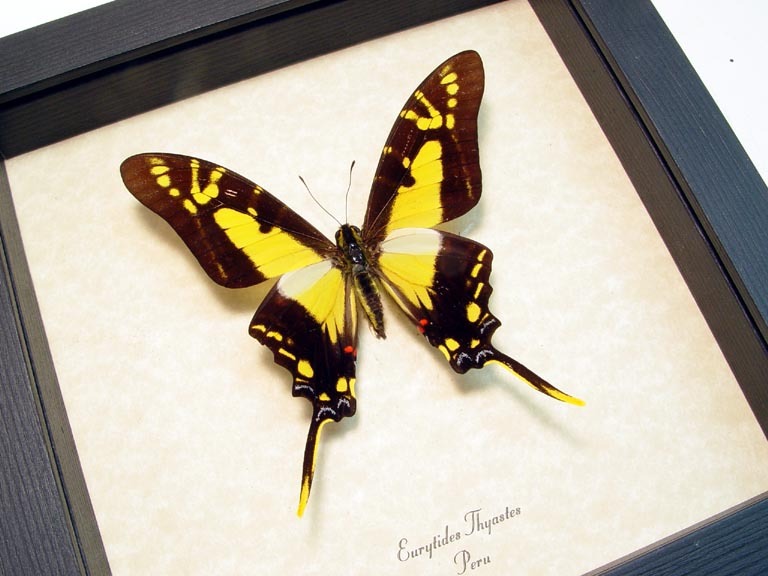 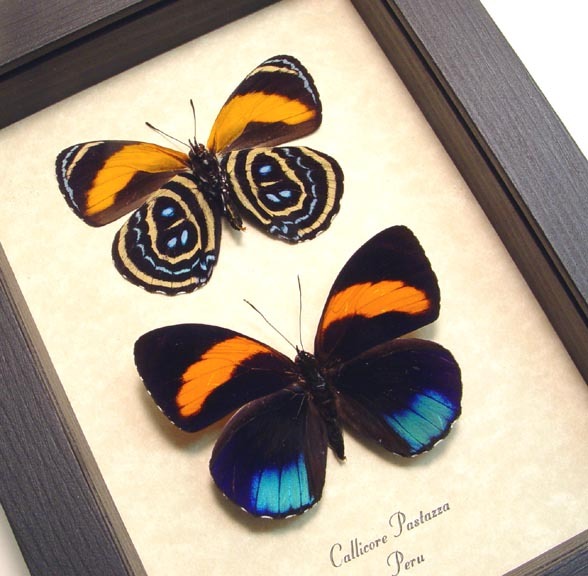 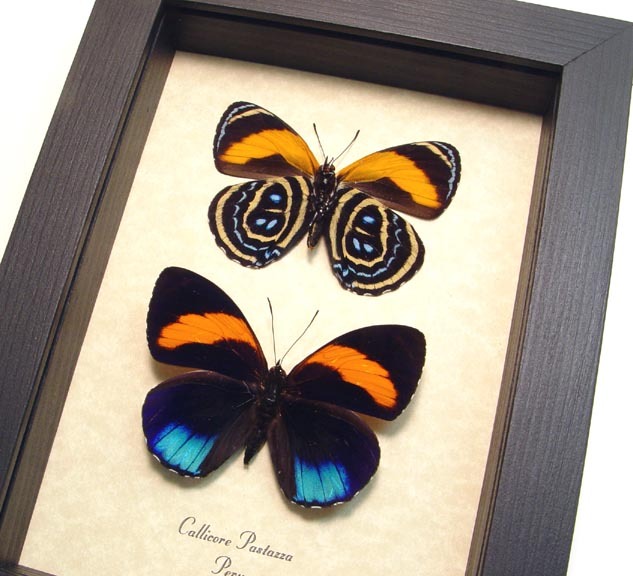 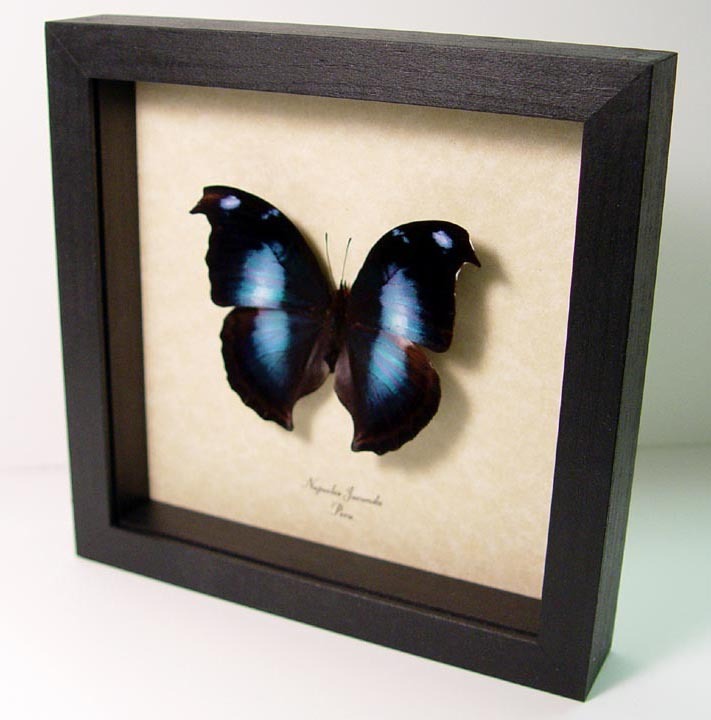 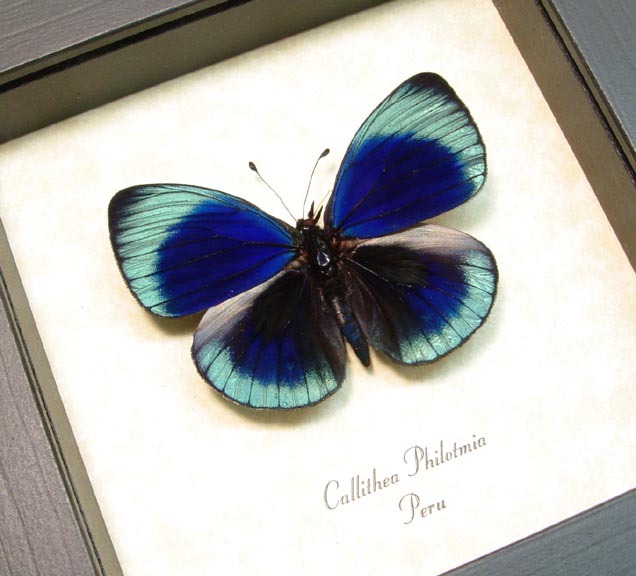 Description: Beautiful butterfly mounted verso to show off the wild orange swirls & dots. 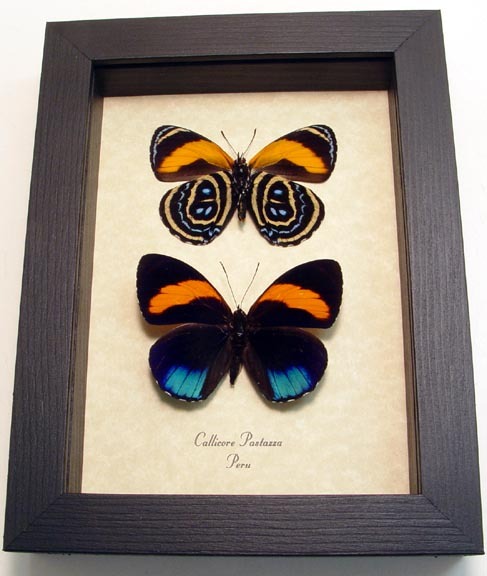 The foreward mounted side of this butterfly is bright orange and blue. 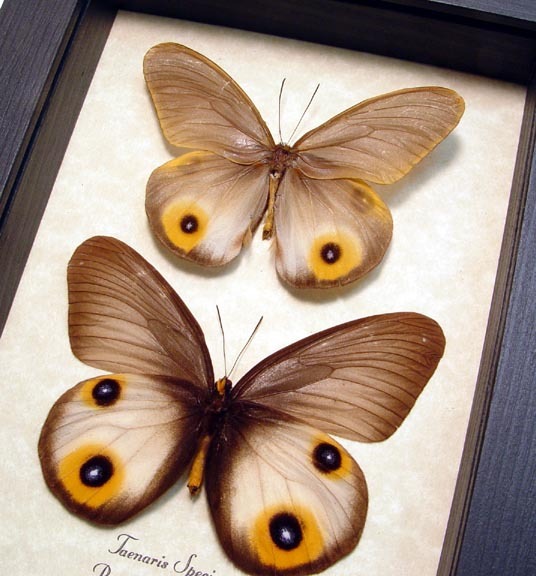 This shows how different the two sides of a butterfly can be.